Vita Faychuk presented her paper “Credit Ratings Overreliance in Municipal Bonds Market” at the Southern Finance Association 2017 Annual Meeting. 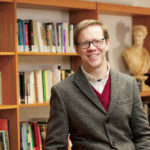 Seán Easton published a book review in 2016 in the Bryn Mawr Classical Review Online of Marta García Morcillo, Pauline Hanesworth, Óscar Lapeña Marchena (ed. ), Imagining Ancient Cities in Film: From Babylon to Cinecittà. Routledge studies in ancient history, 9. New York; London: Routledge, 2015. 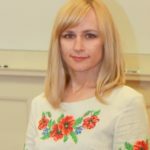 Marie Walker published an article “Identity development and political self-regulation in emerging adult political attitudes and behavior,” in Emerging Adulthood with Emma Iverson ’10. 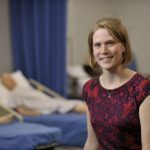 Kate Knutson was awarded a grant by Pi Sigma Alpha, a National Political Science Honors Society. The grant will be used to help Gustavus chapter host the 2018 Midwest Political Science Undergraduate Research Conference in April. 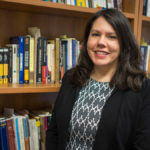 Lisa Heldke published an entry, “John Dewey and Pragmatist Feminist Philosophy,” in the Oxford Handbook of Dewey.